Fire & EMS – If getting hot, dirty and physical is your game – this is for you. We offer virtually unlimited opportunities to explore the exciting world of firefighting and the training to do it safely. Whether you only assist on the outside – or run in to the fire as others are running out – there’s plenty for everyone to do on the fireground. The training is free, but the rewards are priceless. HVFD Volunteers come from all walks of life — from high school and college students to doctors, engineers and beyond. Pictured are alumni from the 1990’s, taken at our 125th Anniversary in 2013. EMS Only – If you enjoy helping people in medical emergencies – we’ll provide the training absolutely FREE. In cooperation with the State of Maryland and Maryland Institute for Emergency Medical Services Systems, we’ll train you in CPR and to be an Emergency Medical Technician-Basic (EMT-B). We’ll also help you obtain EMT-Paramedic training. If you already have your EMT-B or EMT-P certification in another station, we’ll help you with logistics and costs of getting Maryland certified. EMS Only members are not required to certify in firefighting courses, however all Fire/EMS members are cross-trained in EMS and required to complete both Firefighter and EMT training within 30 months of joining. 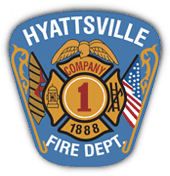 Administrative & Associate – Administrative & Associate Members provide administrative and fund-raising support for the operation and the business of our busy fire and EMS department. From accounting, secretarial, computer, public relations, maintenance, community education and administrative functions – there’s plenty to do behind the scenes. Anyone who does not have the desire to participate directly in emergency services, or those who cannot meet the physical demands for active membership are encouraged to serve our department in this capacity. Associate members do not participate in any emergency responses nor are they required to attend the required training under our operations divisions. All categories of membership require completion of our full membership process; however Administrative & Associate members will not need to complete a physical.